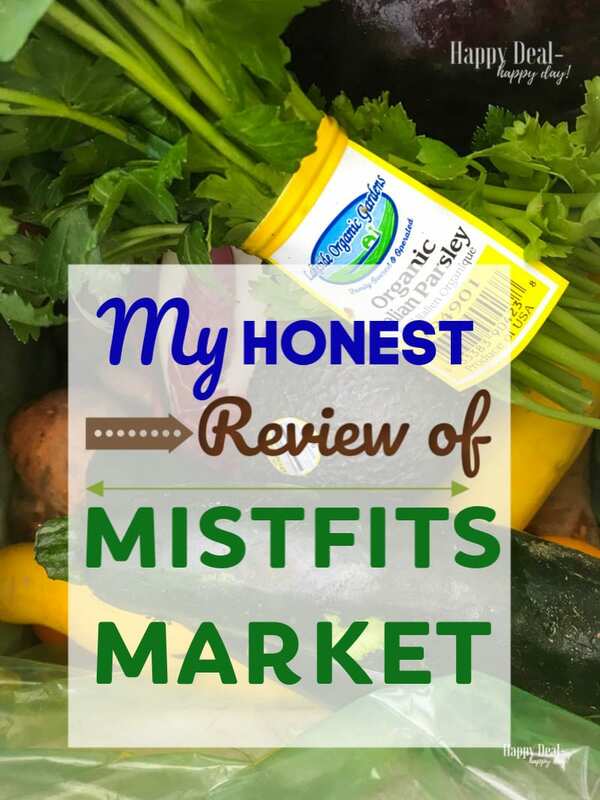 My Honest Review of Misfits Market | Happy Deal - Happy Day! 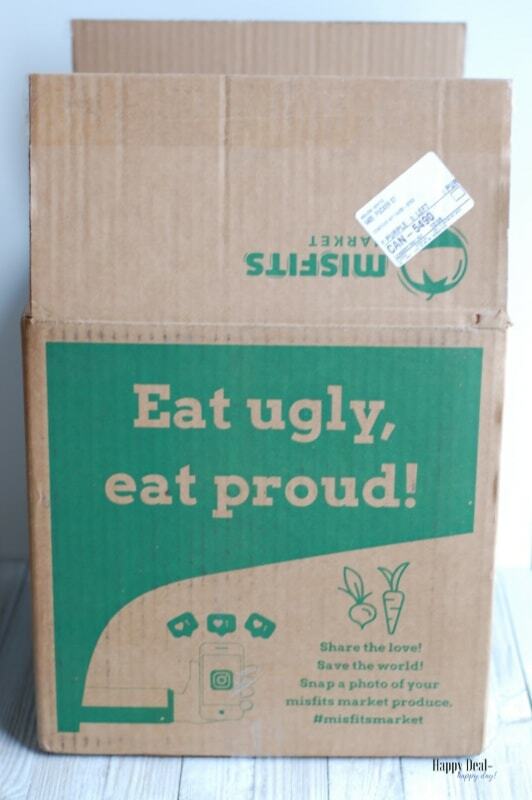 I have ordered boxes of organic produce from Misfits Market a few times now, per recommendation of my sister-in-law. 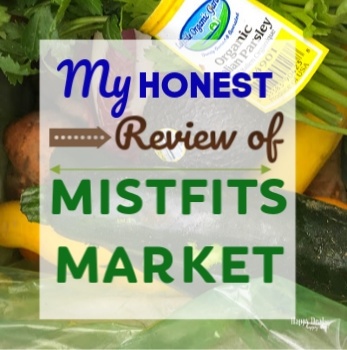 Since I get asked a lot about how to save money on healthy food, especially organic, I thought I’d share my experience with you on getting organic produce via Misfits Markets at reduced prices. 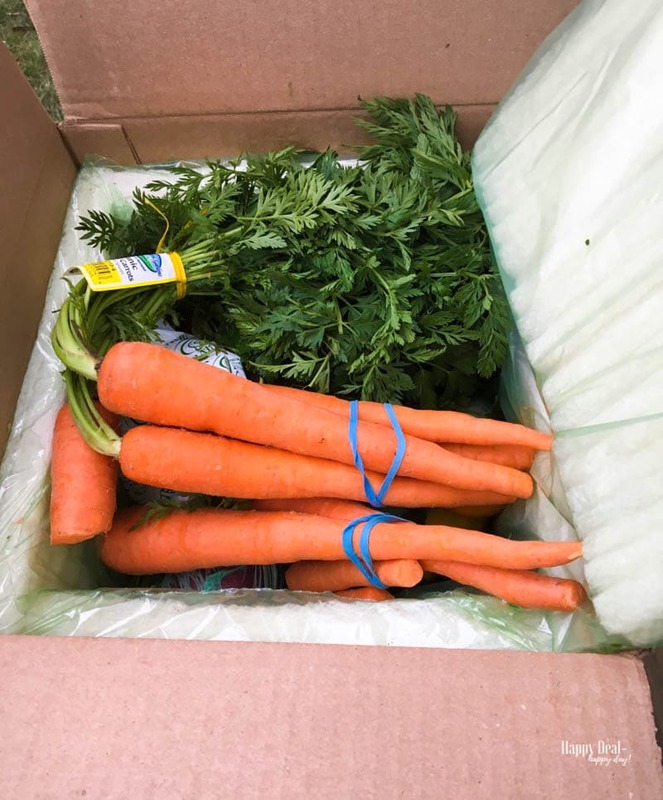 Here is what my box looked like when I first opened it up – a HUGE bunch of fresh, organic carrots, ready to be eaten by my 5 year old who loves carrots! Normally the cost of this Mischief box (priced at $19) including shipping is $28.25 But with your first box, you can get 25% off when your order through this link! My first box cost me $23.35, including shipping, with that 25% off discount. If this was my first box, (with the 25% discount) then I saved about $10! If I didn’t get the 25% off, then it would have only been about a $5 savings. But each box is different and I know another box I price compared in my Facebook Live video I did below – the savings were more. 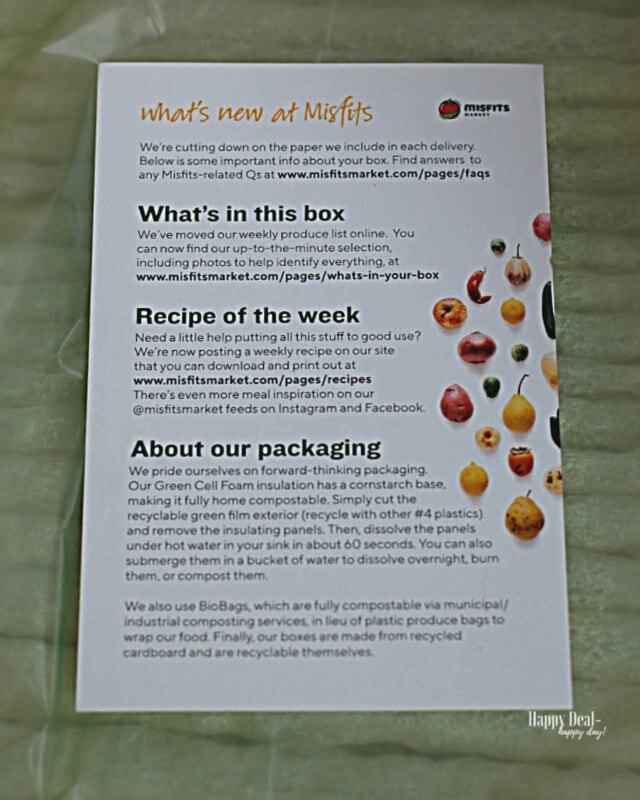 The first time you get a box, you’ll get a card explaining what’s in the box, a place to find recipes applicable to the produce in your box, and about its very eco-friendly packaging! The packaging is very eco-friendly with dissolvable padding, recyclable plastic or compostable “plastic” and a recyclable box. Even the ice pack it came with was labeled “drain friendly.” So I just poured the contents down the drain because I didn’t need another ice pack. It’s a great way to get fresh, organic produce in the middle of winter at reduced prices – especially when it’s not in season. It’s like a Christmas surprise box of yummy vegetables! 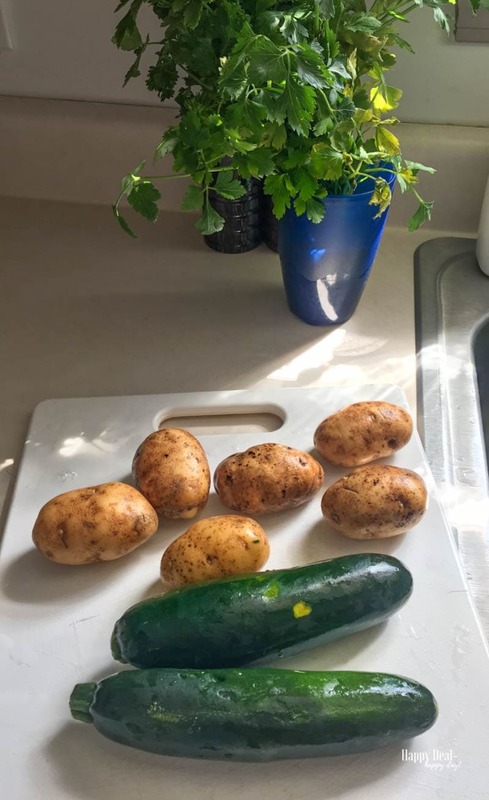 I’m getting produce I wouldn’t normally buy – I mentioned above that is a positive because it forces me to try new things, but sometimes that backfires, if my family or I don’t like what we get – it just ends up in the compost pile. Sometimes I don’t use all that I get – for example from one box I used only 3 out of 7 limes I got in one box. I couldn’t use them up before they went bad. I got a bunch of Italian parsley that I may only use once (I need an herb dehydrator) – before the majority of the bunch wilted and went into the compost pile. Every box I’ve gotten has contained apples – of which one or two are always severely bruised and are best fed to my neighbor’s horses. The sweet potatoes that came in my most recent box, two of the small ones had enough holes in them (from bugs?) that I just put them in the compost pile. An ugly shaped sweet potato I’m fine with. But if it’s “ugly” because it has bugs in it – no thanks! 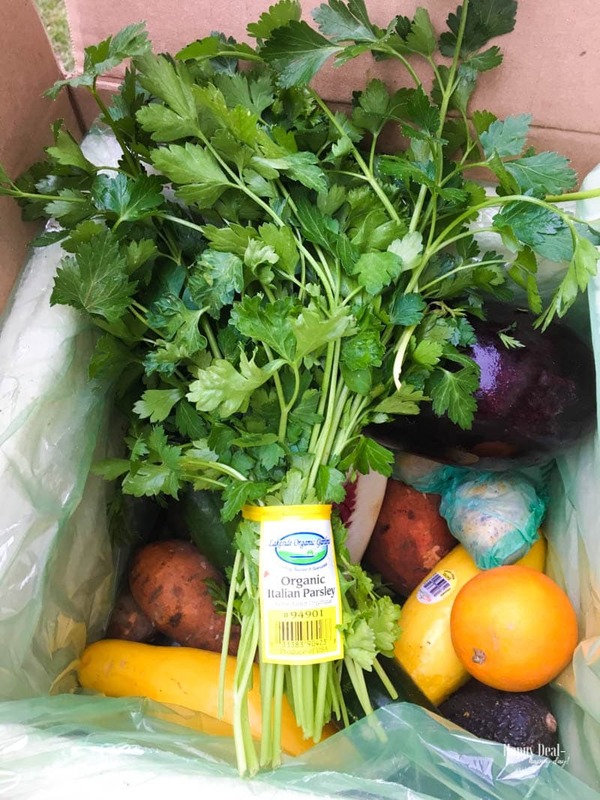 In terms of specific recipes I made using my produce from this last box, I spontaneously added Zucchini Corn Chowder to the menu that week to use up the zucchini, small potatoes, and Italian parsley. I own the Minimalist Baker’s Everyday Cooking cookbook and am making a black bean & sweet potato corn chip dip to use up the sweet potatoes. 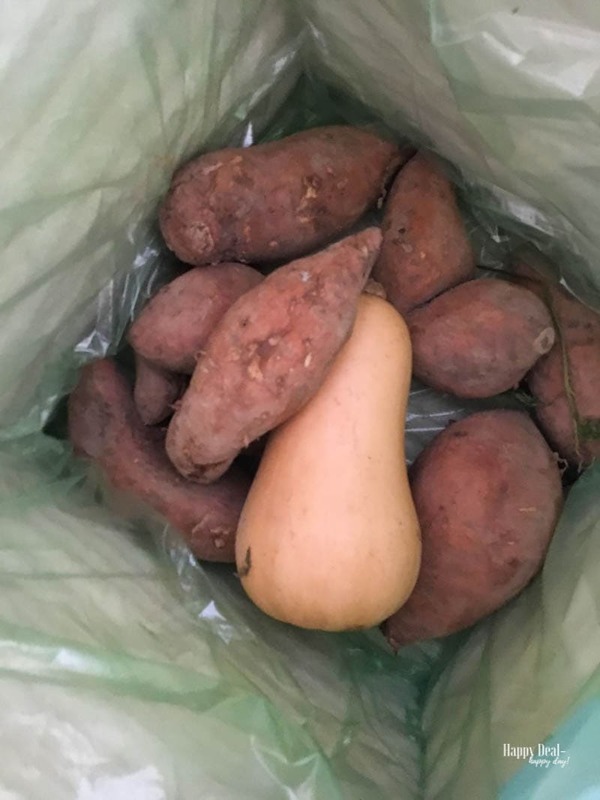 (FYI – sweet potatoes are ridiculously easy to make in an Instant Pot!) I’m also trying Vegan Cunchy Baked Eggplant Bites later this week. 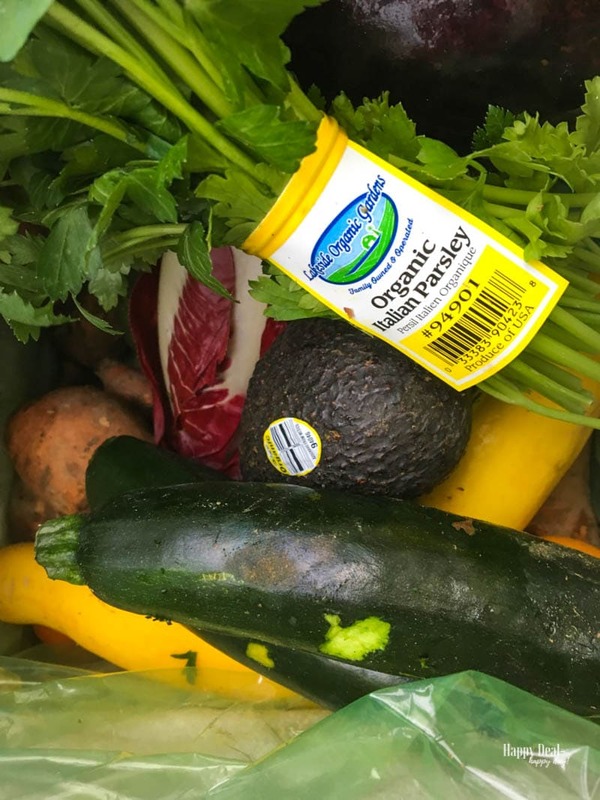 Overall, if you are looking for a way to save on organic produce, then you must give this a try! Even if you don’t use everything in the box, it’s healthy, organic, and will save you time and money from shopping in the store.